If you follow me on social media at all, you know that have an amazingly hectic life. It's not easy being mom to 5 girls, because even though three of them are now out of the house, now they have kids and those kids are always here (not that I mind this for a single minute). Then there is my Sammy who is only in second grade, her school and other activities keep me on my toes as well. On a regular day for me, I spend more hours riding back and forth in the car getting everyone to their appointed places and doing the waiting game waiting for them to get out. That's probably why my rear end is so wide (and yet so flat), I spend most of my life sitting either at my computer or in that car driving and waiting. One of the hardest things about these days, is the constant bad eating. You know me, I am certainly not a health nut, but I try to not to stick to a diet of bad food alone. But what can you do when you are sitting around killing time or so busy running around that you don't have time to go for a healthier option? 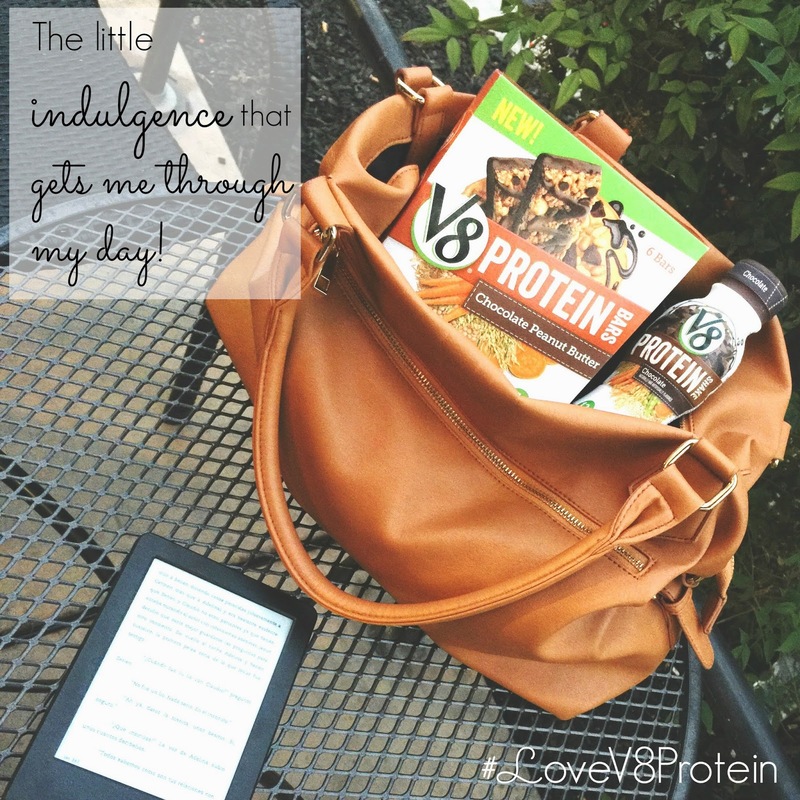 I found a great little indulgence that I can take on-the-go with me. 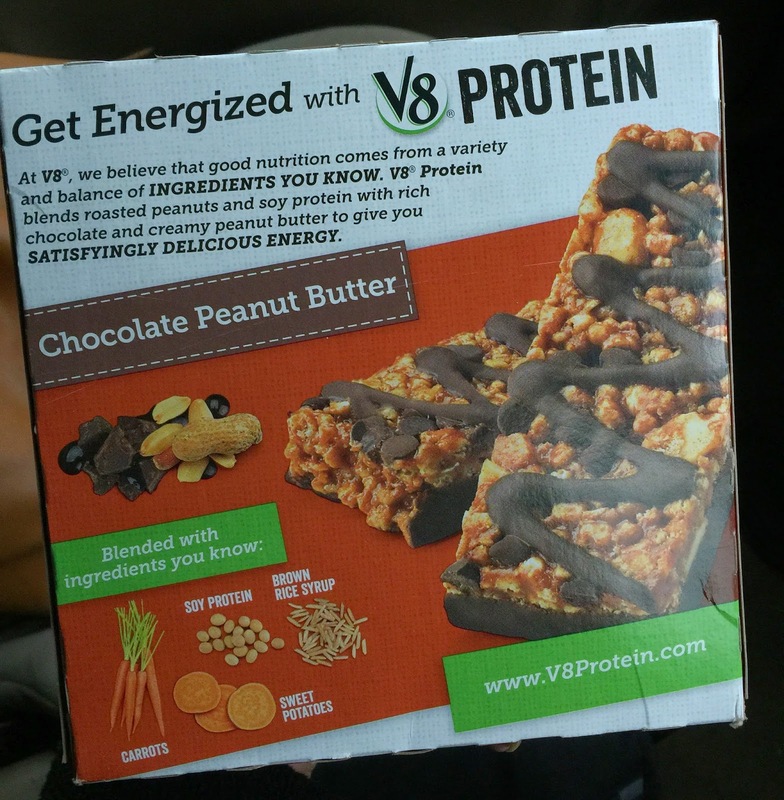 Campbell's New V8 Protein Shakes and Bars are filled with protein that keeps me chugging along till my next meal without having to go the fast food way. With six flavors to choose from, I can mix and match them around so I don't get bored. I can't always make good-for-me choices but these V8 products give me something sweet to munch on when my sweet tooth kicks in and the shake makes an awesome meal replacement when I am really in a time crunch. 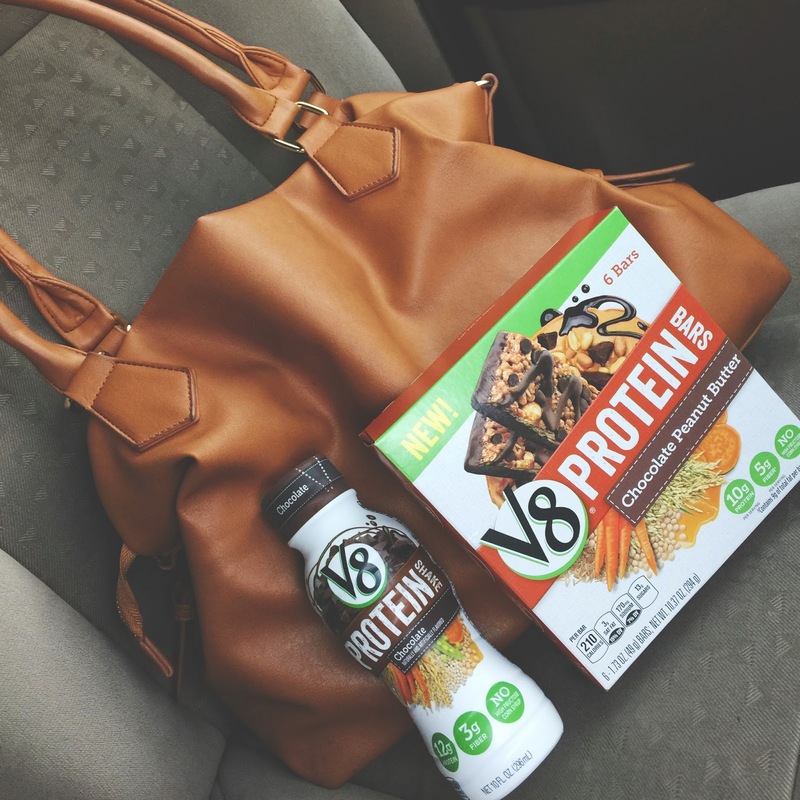 V8 is known for all that veggie power, so of course these products are made with Sweet Potatoes and Carrots plus protein that comes from Milk, Soy, Pea, Brown Rice, Quinoa. I keep the V8 Protein Shakes in the fridge and as I am stepping out I will grab one for both Adrian and myself. These are very convenient for on-the-go and really hit the spot. I recommend the chocolate flavor. 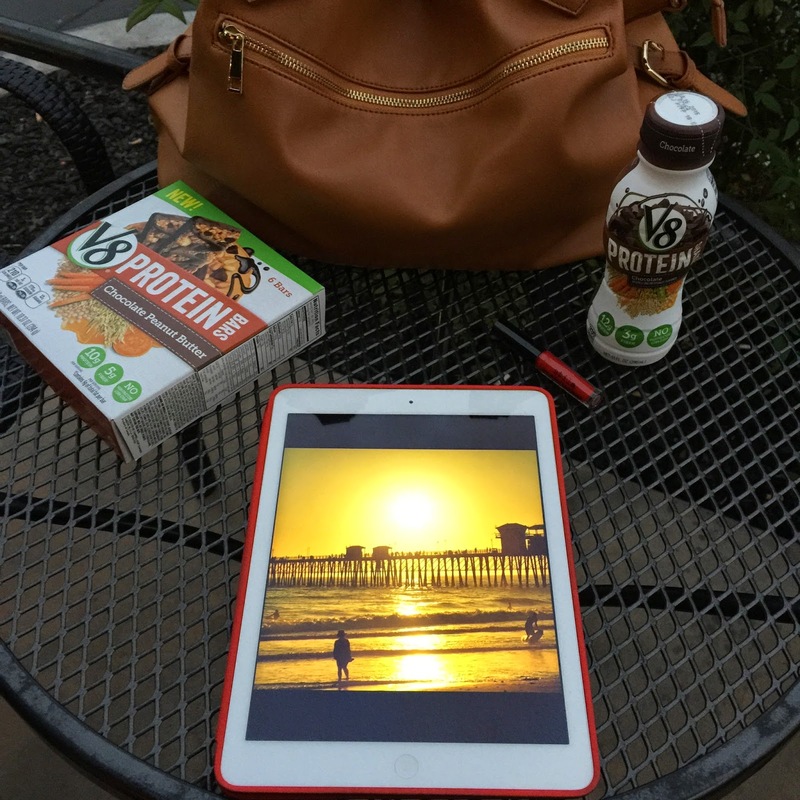 If I'm going to be out for the entire day then I take both the shakes and bars with me, that way I can catch a snack as I am working or taking a break. 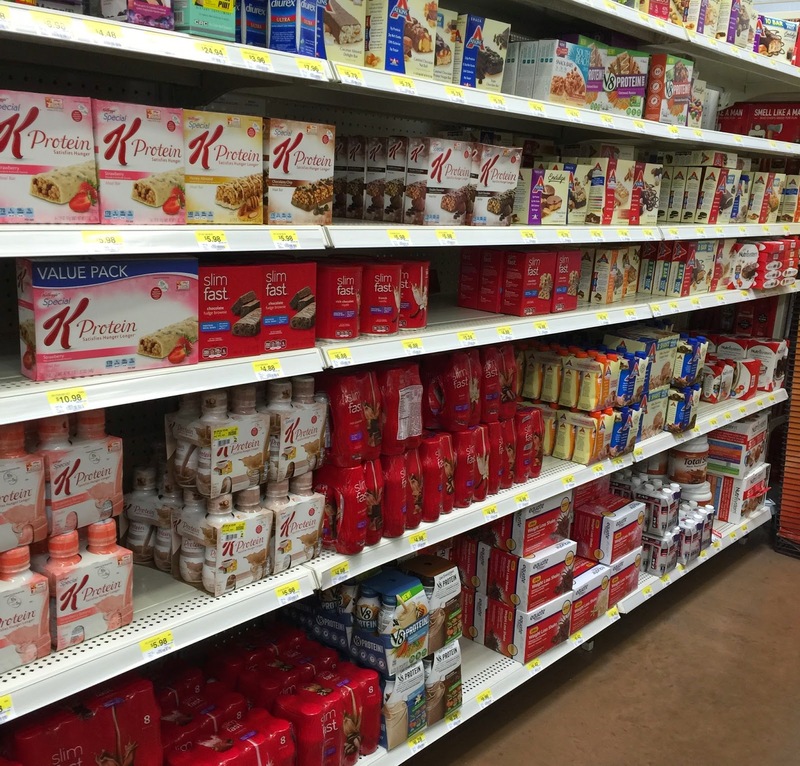 V8 Protein Shakes and Bars are a new product, but you can find them in Walmart (in the health and beauty aisle). Get more info about these better-for-you choices by visiting V8 at www.LoveYourV8Protein.com, on Facebook and Twitter. No more getting a case of the shakes or bad headaches because I haven't had time for a meal. 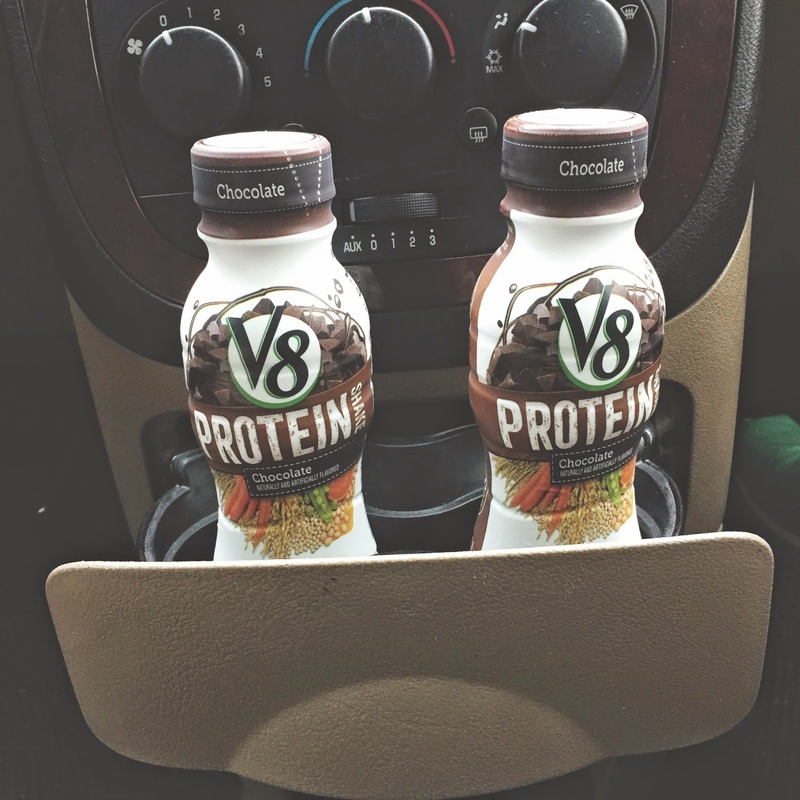 Super convenient, yummy flavors and filled with veggies and protein, V8 Shakes and Bars are the little indulgence that's actually good for me.